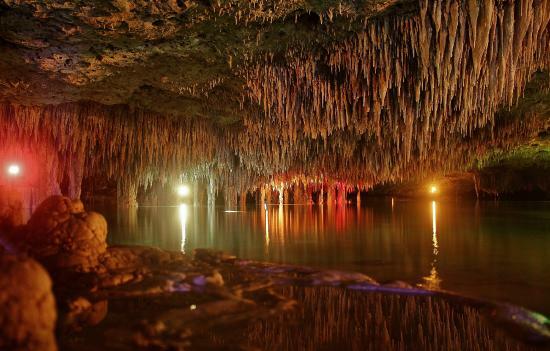 OR VISIT CENOTES, CAVES AND MAYA RUINS IN THE SAME DAY!!! 4 activities in 1 day ! 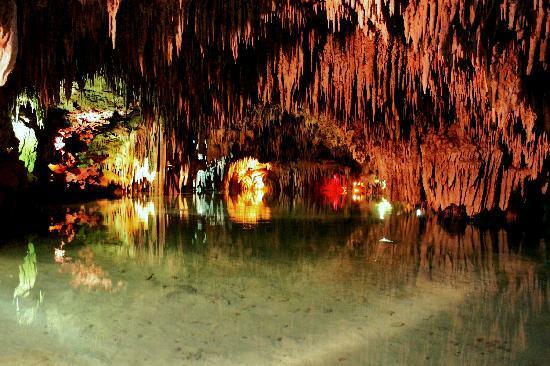 A special Tour to discover the magic Mayan riviera 's Caves and Cenotes. 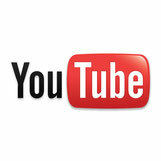 We will visit 3 different places. "SAC ACTUN ".... a semi open Cave, one hour snorkeling in a cristal clear water looking the entrances of the underwater caves. 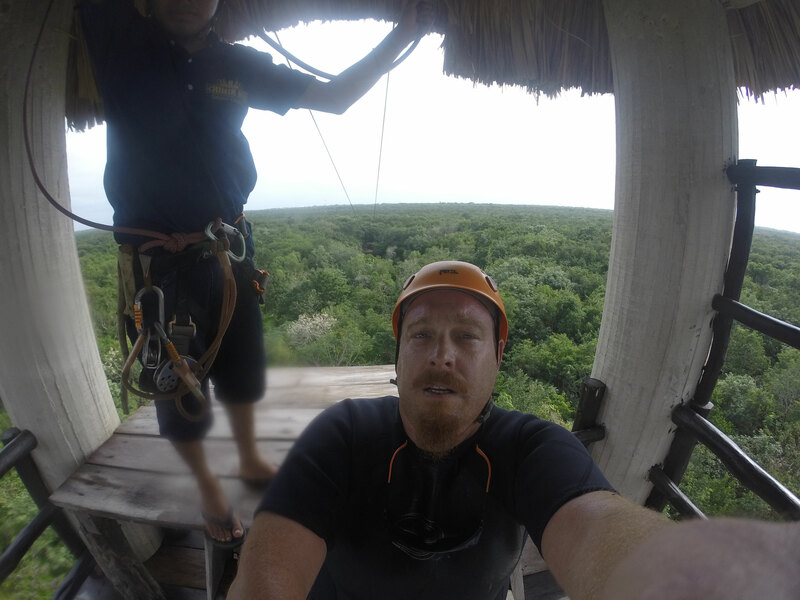 "CHIKIN HA " an ecopark with 2 semi open cenotes, one open cenote to enjoy more snorkeling time and.....zipline for bravest, (not mandatory). 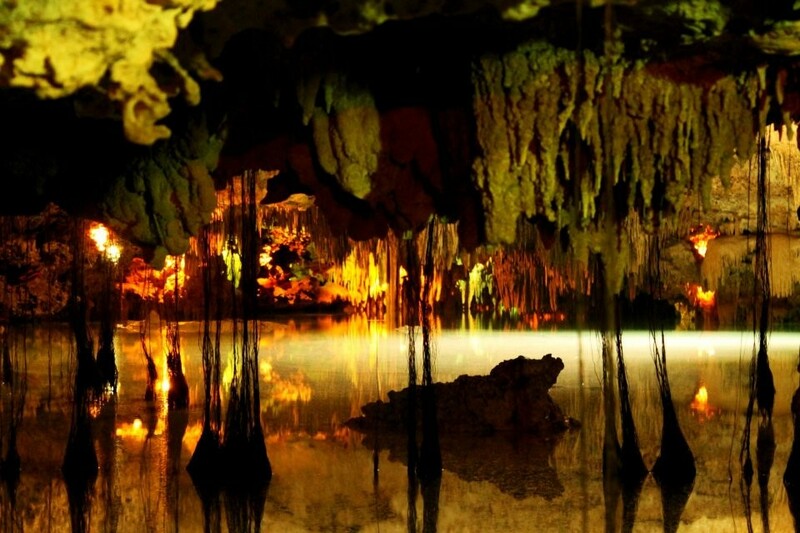 ..."RIO ESCONDIDO"... is a secret Cave with Secret Cenote"... we will walk in the cave, in the underground river in shallow water inside the heart of the Mayan Riviera untill arrive in a secret cenote. Would you like explore cave and snorkeling in a underground river with cristal clear water? 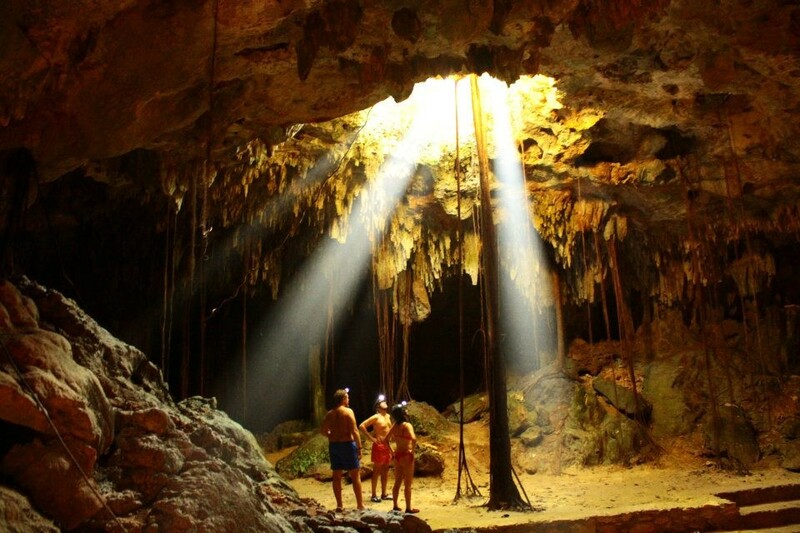 Are you brave enough to spend 2 hours underground walking and swimming in one of the most beautiful caves of Riviera Maya? 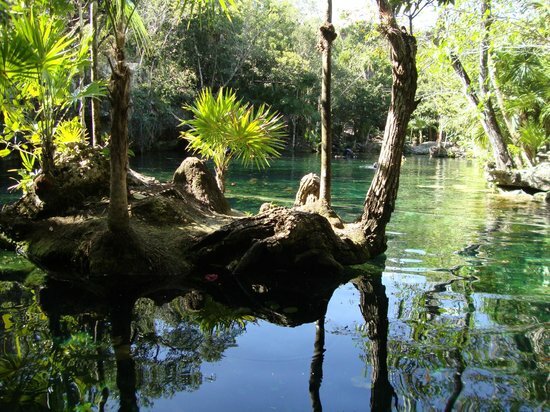 In the Mayan Riviera there are a lot of amazing and diferent cenotes where you can snorkel, explor underground caves, swimm in undergrounds rivers, spend a nice time in the wild nature and much more. 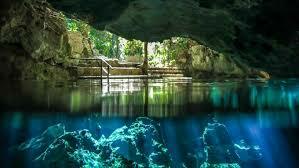 Ask now for more info about your Private Cenote Adventure Tour. 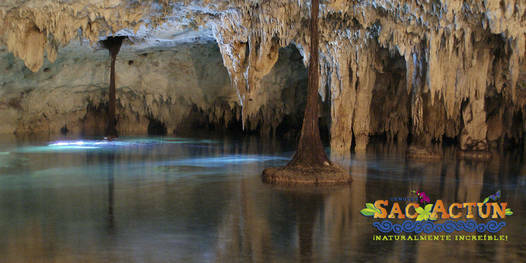 We offer a special UNDERWORLD experience, 4 activities in one day or we have few more posibilities. 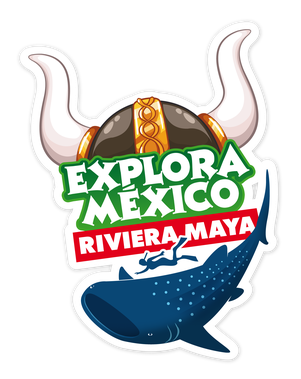 Always with a private multilanguage and professional guide, professional driver and confortable A/C private van for your transportation you can discover incredibles places closer to Playa del Carmen. 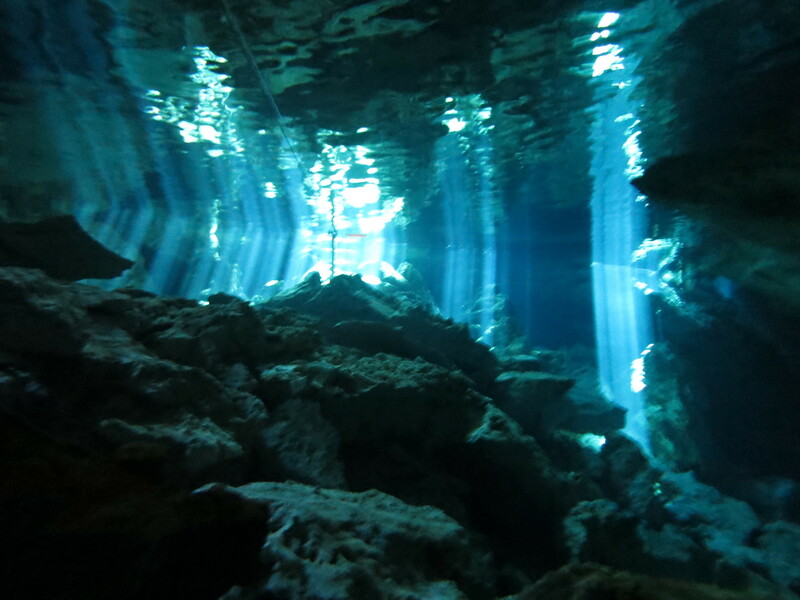 A cenote is a natural sinkohle, resulting from the collapse of limestone bedrock that exposes groundwater underneath. 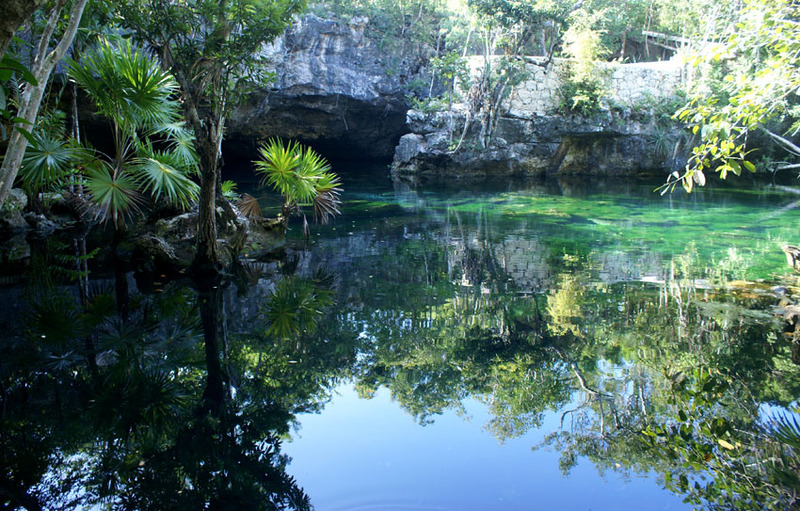 Especially associated with the Yucatan Peninsula of Mexico, cenotes were sometimes used by the ancient Maya for sacrificial offerings. 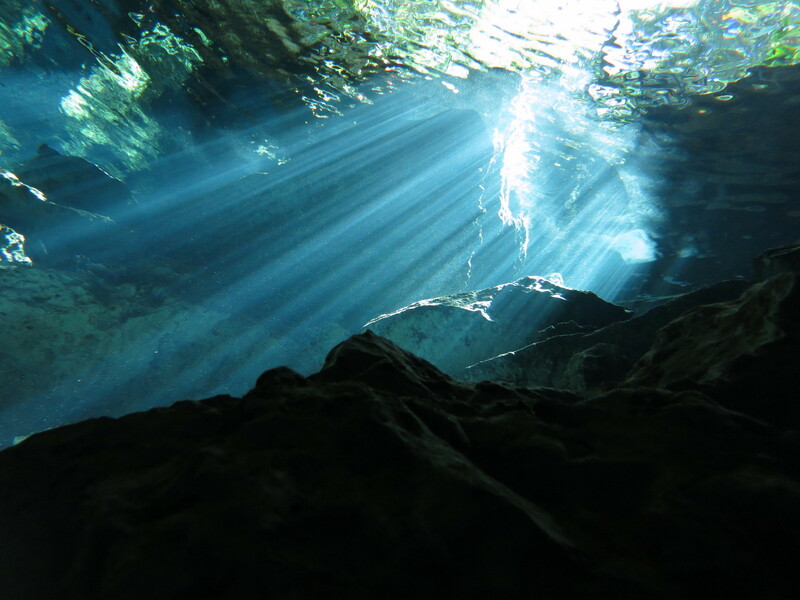 Cenotes are formed by dissolution of rock and the resulting subsurface void, which may or may not be linked to an active cave sistem, and the subsequent structural collapse. Rock that falls into the water below is slowly removed by further dissolution, creating space for more collapse blocks. 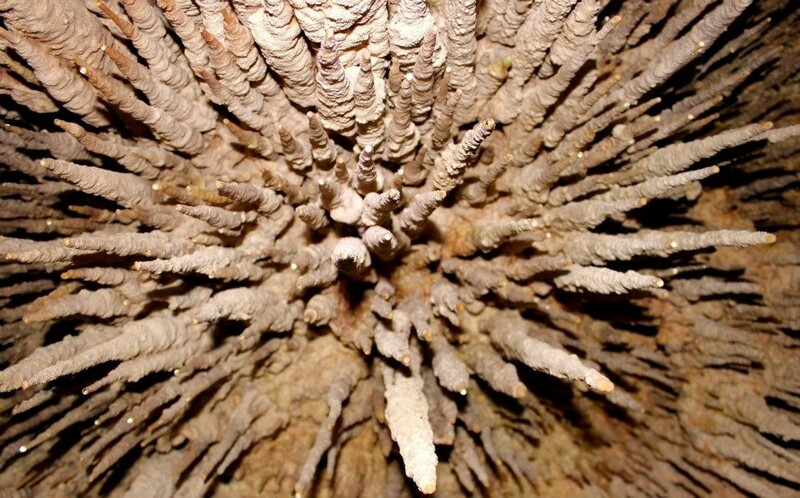 The rate of collapse increases during periods when the wtater table is below the ceiling of the void, since the rock ceiling is no longer buoyantly supported by the water in the void.